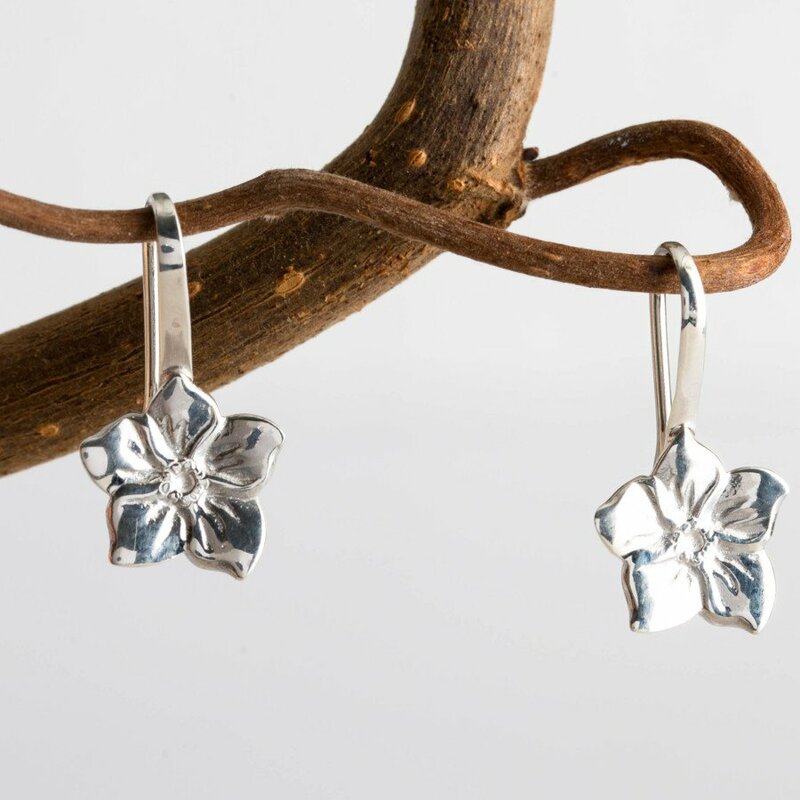 Forget-Me-Nots are a traditional flower that are given to convey true love and friendship and these beautiful recycled, hand crafted sterling silver flower earrings have a soft polish finish and would make a great gift for a loyal friend. Mosami works with talented British designers to create contemporary and unique jewellery with timeless style and are then produced in Thailand by women’s charity Made by Survivors. They rescue women from slavery by training them silversmithing skills and creating well paid and well respected employment for them to support their family. Size: 10mm x 10mm. There are currently no questions to display about Mosami Forget Me Not 'Friendship' Drop Earrings.